The process of selling a business is complex and the potential for mis-understandings is great. One way to minimize these is to craft a detailed offer that addresses key issues. Beyond a simple term sheet which spells out the structure of an offer in a vague way, it is important to further define key elements of an offer before agreeing to exclusively negotiate with a buyer. A Letter of Intent or LOI is the vehicle to do this. LOIs are non-binding agreements between the buyer and the seller that details a transaction and allows buyers to perform due diligence on a business over a period, typically 30 to 60 days (or longer in some cases), knowing the business will not be sold to some other buyer while they undertake this work. However, if the seller is going to take the business off the market, then it is important to work out as many of the details of the transaction as possible before doing so. It generally insures a higher likelihood of completing the transaction. 1. Price and Terms: The price a buyer is willing to pay is the most fundamental issue. Equally as important though are the terms and conditions of how they will pay. Questions to resolve in the LOI include will the buyer require financing and if yes, how much? Will it be all cash at closing or will some be held back in the form of seller’s note or an earn-out? What are the terms of the earn-out or seller’s note? 2. What parts of the Business will be Purchased: The LOI should also define if it is an asset sale or a stock sale and what parts of the balance sheet the buyer is acquiring. A few questions that need to be answered include does the price include Net Working Capital? Does the seller keep all the cash and accounts receivable and pay off all liabilities? How are customer deposits and pre-paid services handled? If the firm has significant Work-in-Process inventory, how is this paid for? Are finished goods inventories included in the price and how is it valued? Negotiating precisely what assets and liabilities the buyer is assuming will go a long way to ease subsequent negotiations. 3. Asset Allocation: The IRS requires that the seller file an asset allocation on the purchase. Different asset classes are taxed at different rates, and the manner in which the purchase price is allocated across those asset classes can have a significant impact on the tax rate of the of the sale. 4. 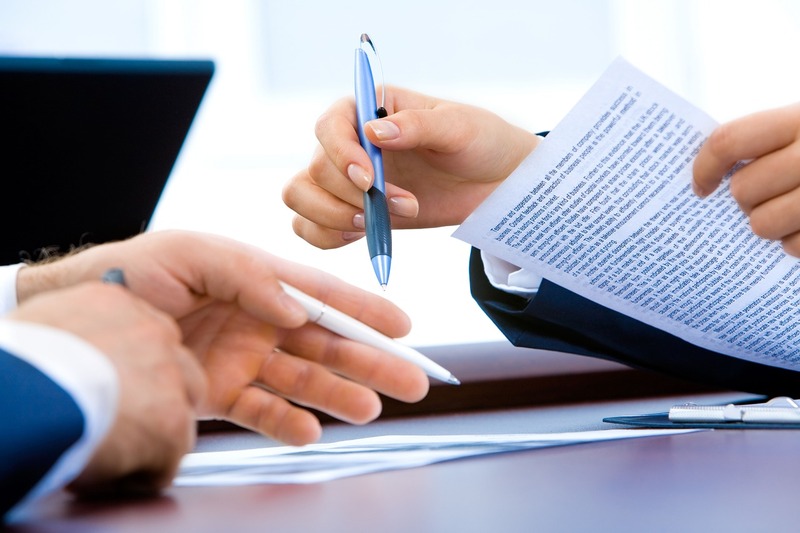 Post-sale Employment and Consulting Agreements: Most buyers want sellers to stay on for some period after the sale. The length of this and the compensation for it should be defined. 5. Non-compete Agreements: Sellers need to decide if they wish to ever work in their industry again because buyers will have a say about this. The nature of any non-compete agreement should be known. 6. Critical Due Diligence Issues: Most due diligence requests are straightforward, but sometimes with business that have customer concentration issues or contractual relationships with clients, then buyers may want to interview them as a contingency to the purchase. The same may be true with key employees. This is obviously very sensitive, but it must be dealt with up-front. 7. Escrow Funds: Some buyers may ask that a percentage of the purchase be held in escrow for anywhere from 1 to 2 years to cover costs guaranteed under the representation & warranties and buyer indemnifications in the Purchase Agreement. This can often total anywhere from 10 to 20% of the purchase price. 8. Period of Exclusivity and Termination of the Agreement: Make sure the term of the LOI is drafted so that it has a definitive expiration date. Good LOIs serve to define many of the terms of a Purchase Agreement so that it insures that the thorniest issues are worked out sooner than later. Sellers don’t want to waste time exclusively negotiating with a buyer without having much of this defined up-front.